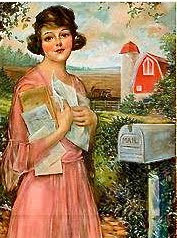 Farmwife at Midlife -: Who is this Farmwife at Midlife? Fodder, mayhem and musings from our Kentucky ridge farm. Who is this Farmwife at Midlife? 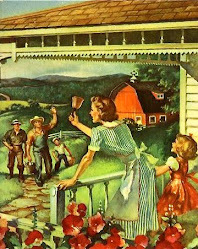 Farmwife at Midlife: I live on a farm in Kentucky. I'm a writer. A mother. 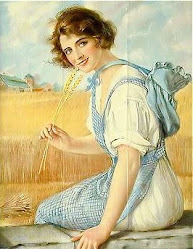 A farmwife. (Not necessarily in that order!) A collector of too much vintage stuff, books, cookbooks, unfinished projects, dreams and canned goods. I am obsessed with pantries (and literally wrote the book on them), great architecture and gardens (as well as the gnomes in them). I like to cook (most days), love to bake, and am learning to 'put up' much of our food (and raise it). Several years ago we moved from New Hampshire to a Kentucky ridge where we've put together a cattle farm along with some chickens, pigs, and a few stray deer. It is total 'boy world' but I like it, too. Lately I've become a chicken lady. And a deer whisperer. Sometimes I sing. And dance. And I usually wear an apron while doing so. Or flannel pajamas. Or my favorite denim skirt and shirt combo. I don't like to wear socks, unless it's winter. Pantyhose only when I must. I seek comfort in all things: in old and new friendships, family relationships, food, a good book, my home, or the natural world around me. For some reason, however, I can never leave the house without lipstick on (well, the chickens don't seem to mind). Remember that scene when Meryl Streep, as Isak Dinesen in Out of Africa, is hollering to the native Kenyans from the back of her train car: 'My crystal! My Limoges!'? This somewhat counters her lilting phrase, 'I had a farm in Africa.' and all that evokes and yet it rather sums up what we brought down from New Hampshire and how we brought it. In several box cars. Most of it is still in boxes. Perhaps one day we will use it again or it will remain, in our barn, only to be unearthed in some future salvage operation. 'I had a mansion in a New England village.' It was beautiful and sometimes too perfect. It was not really either of us, my husband or myself, and yet 'these things we carry' from our past we can't quite leave behind––just yet. We all kind of grew up in that house, but we grew out of it, too. It is hard to pack up your life into boxes, especially when from a house that has the layering of generations. Yet, it is the best thing we ever did for ourselves. Our room-by-room inventory is still ongoing. We spend January 1st walking through our lives, room by room, drawing up a list of work to be done, cracks to be patched. Maybe this year, to balance the list, we ought to walk through the rooms of our lives...not looking for flaws, but for potential. This is what I've been doing at this place and time in my life. It is an ongoing process. I am grateful for the opportunity, sometimes fearful. But always blessed. For now, it's practical magic in a doublewide. In a cottage that we're fixing up (more on that as the weeks progress: Chick-a-Biddy Cottage will be my haven, writing studio and farm-meal central). All in the rolling and lovely backdrop of Kentucky knob country. How we came here is a story in itself and I've been telling that along the way at my other blog, In the Pantry. Recently I decided that the venue for the tale needed changing. 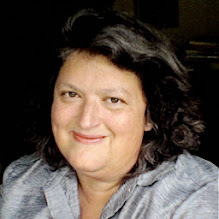 Because I now really am a farmwife, a firmly middle-aged woman (at 48 and not quite firm, either), and totally perimenopausal, I realized that Farmwife at Midlife was a much better moniker and place in blogland to be telling my story. <3 it mom! book it! Love your blog! I too am a Farmwife at mid-life, albeit a little older than you (53), but we moved here to KY (Pendleton County) in 2003 from northern MN, so I can totally relate to all you've been through. Delightful! 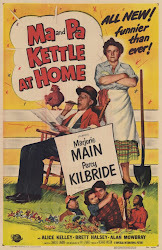 Anybody who loves WWII posters, canning and Wendell Berry is okay by me. WOW! I love this....you're so fortunate to live in KY. I lived in Nashua, NH. Welcome to the farm! I hope you feel free to comment and share here. I will respond as often as I can. Abandoned by his mother on a cold December morning in 2011 (on my husband's birthday), Edgar was bottle-fed and gently raised. He is one of our bulls but has been given a life-long stay of execution on our farm. He loves clover and head rubs and digs heifers. My mother and me c. 1965 underneath a big old elm tree at my grandparents' house in Ohio. 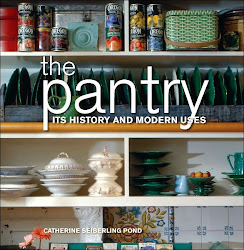 The Only Book on the Design and History of Pantries-Still For Sale & Now its 10th Year ! From "Favorite Recipes for Country Kitchens," c. 1945. Welcome to our Farm ! I am now a farmwife. Make that a farmwife-in-training: not the most organized and always with much still to learn. In 2008 we moved from an historic New England family manse to a doublewide on a ridge in Kentucky. Just imagine The Beverly Hillbillies in reverse. [We even have a 'cement pond' - a large cattle tank.] Since then we've expanded the farm and are living across the road at Ida Doyle Dye's old homeplace and in her family's cabin-turned-cottage which we purchased in 2009. 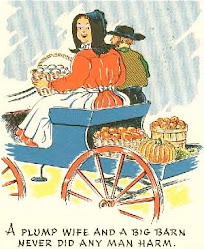 From a Pennsylvania Dutch card. • Every farmwife needs a farmer and mine had the vision of Kentucky from the start and, thankfully, brought me along for the ride. We met nearly 43 years ago in a hay field at my grandparents' New Hampshire farm and have been married for over 20–I believe we're stuck with each other. 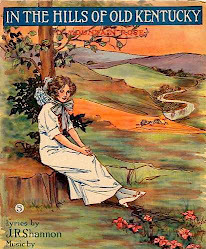 • I am indebted to my neighbor on the next ridge, Margaret Jasper, for introducing me to this vernacular salutation from the Kentucky hills: You come back when you're ready! • All photos © Catherine Pond, unless otherwise credited. Please only use with permission. "And the world cannot be discovered by a journey of miles, no matter how long, but only by a spiritual journey, a journey of one inch, very arduous and humbling and joyful, by which we arrive at the ground at our own feet, and learn to be at home." "The mind that is not baffled is not employed. The impeded stream is the one that sings." Farmwife at Midwife © Catherine Seiberling Pond (2011). Powered by Blogger.